Can we talk about this Beats by Dre ad? It is p.o.w.e.r.f.u.l. They killed it. And it introduced me to this song. And this band, X Ambassadors, who I haven't stopped listening to today. They sound similar-ish to Imagine Dragons. My favorites on their latest EP are Giants and Free & Lonely. That is Bigelow I Love Lemon Tea and a morning juice. 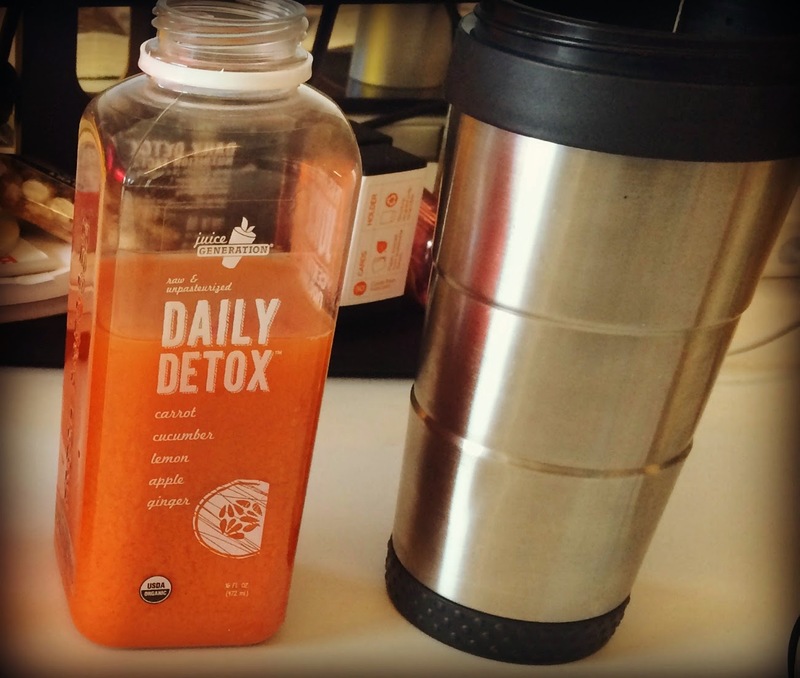 It's my little mini morning detox. The juice contains carrot, cucumber, lemon, apple and ginger from Juice Generation. It's a combination I really love. Basically anything with both lemon and ginger is immediately what I'll go for when it comes to the juice game. After a night out I always feel better when I start my morning with a juice or tea with lemon and I have to eat something healthy for breakfast. If I dive right into a BEC (bacon, egg & cheese) I am doomed. It's one of those "it sounded great at the time" choices.